To get started, log in to iCloud.com, and go to Settings. Scroll down to the botton and look for the Advanced section. 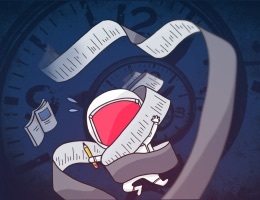 You’ll see Restore Files, Restore Contacts, Restore Calendars and Reminders, and Restore Bookmarks. On the Restore Files section (mine takes a few minutes to load), you can select individual files to restore. 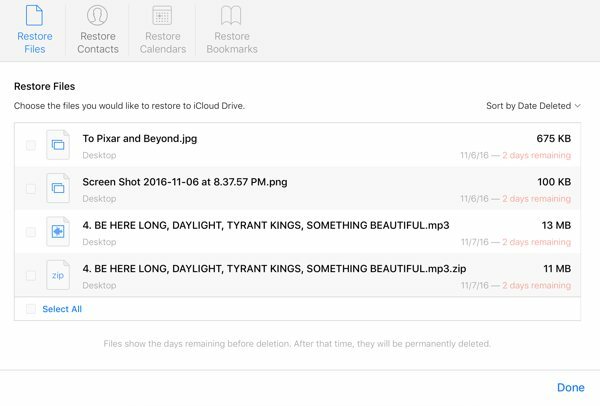 Doing so restores the selected files back to the original iCloud Drive location (rather than just re-downloading). 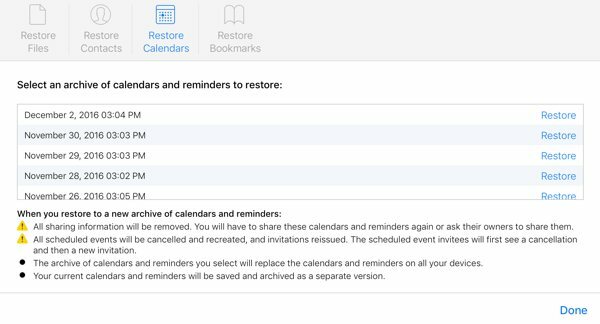 In the Restore Contacts, Calendars, and Bookmarks section, you can select a date to which to revert back. 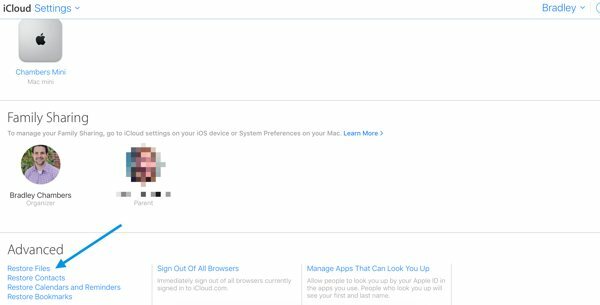 This will revert all of your signed-in iCloud devices to this state. 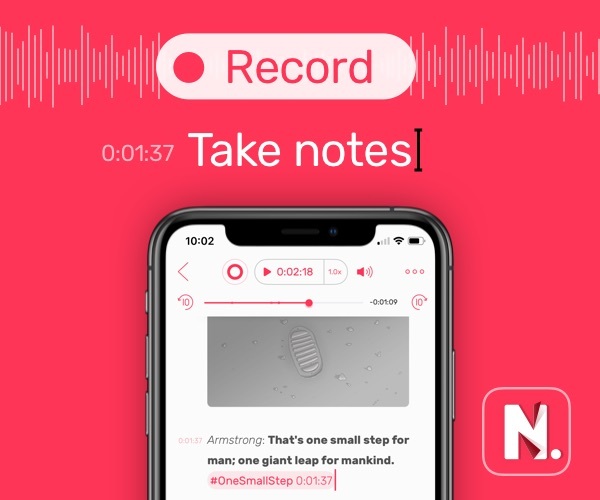 These restoration options are a great feature to have for a robust file sharing and syncing service, and I hope that the functionality will be shared with the macOS and iOS platforms in the near future.